All of a sudden I’m awake. It’s 10:30am. TEN THIRTY?! WHAT THE… I should have been out of here hours ago. I mean, checkout of the the hotel was at 10 as it is! Gordon Bennett, how could this happen? I mean I know I was tired last night, but 10:30 for goodness sake… I’m never going to be able to fit in that steam train trip now. And what on earth is the pub downstairs doing playing that thumping bass-heavy music at this time of day? Flinging my belongings into my rucksack, I leg it out of the door, rush in to the nearby Co-op, throw some sandwiches at the cashier and run down the street. This is not – I repeat, NOT – the way I planned on starting the Dales Way. A few minutes later, I open my eyes and peer around my dark hotel room. It’s nearly two am. The Dalesway Hotel had shut up shop hours before; the strains of bass-heavy music of some distant late night venue are filtering through the open window. Outside a drunken woman is shouting “FRANK!” loudly. She does it twice and disappears into the night. Five minutes later a man replaces her. There’s an edge to his voice, like he’s on the look out for a fight to ensure he finishes off his Saturday night in “style”. llkley’s late night culture is about to wind down but someone clearly still has plans. Yorkshire. It always seems to get me in the end. Earlier in the year I’d been dutifully planning the trip. I was going to go off to the South West, walk somewhere, drink Cornish beer and enjoy lots of seafood. Sorted. Then Catherine comes out with the classic line of “Why not do the Dales Way?” and five minutes later I’ve booked several B&Bs, got the train tickets, ordered a guide book from Amazon and am standing there with a “How the hell did that happen?” look on my face. Somehow I’d managed to plan my trip in such a way that it went absolutely nowhere near any Cornish pubs, had no sea ports with fishing vessels and had a distinct absence of tin mines. Hence why I was in Ilkley, ready to set off on a 78 mile trip to Bowness-on-Windermere. Although if I’d read the bit on the back of my guidebook that proclaimed the Dales Way to be “one of Britain’s gentlest multi-day walks” maybe I would have changed my mind. But then I’d booked the whole thing knowing next to nothing about it, nor why I should actually do it. Still I needed the relaxation, deserved the holiday. I mean it had been a whopping three weeks since my last one. But then one minute I’d just finished Wainwright’s Coast to Coast walk, and the next I was back at work. And those three weeks had been action packed. I’d prepared a product for launch, took on a colleague’s role whilst he was away, taken on a new and highly demanding project on secondment to another team, attended a stag do, a beer festival and a wedding, seen my parents, seen Catherine’s parents, popped in and waved at my 93 year old Granddad, declined to buy a house in Reddish, been to Sainsburys and had a pizza with Caesar salad dressing on it whilst conversing with a member of Her Majesty’s Police Force in Leeds. And then there was that whole Knutsford thing. Frankly I needed the break. Especially if my dreams were anything to go by. 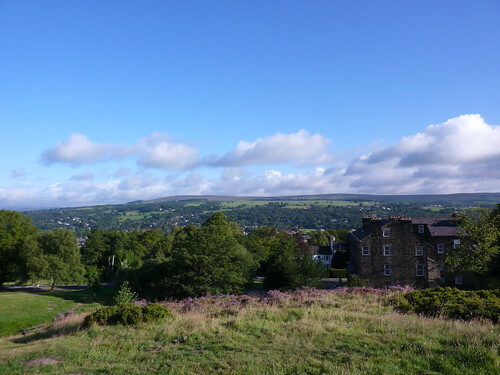 And so I was in Ilkley with a rucksack, a pair of boots and a stack of maps. It was time to get walking. First Published: 5 January 2011. Last Updated: 28 August 2015.